Visitors to Pennsylvania looking for the best hotel in Philadelphia will undoubtedly stumble upon the Rittenhouse Hotel on Rittenhouse Square, at the heart of the city. 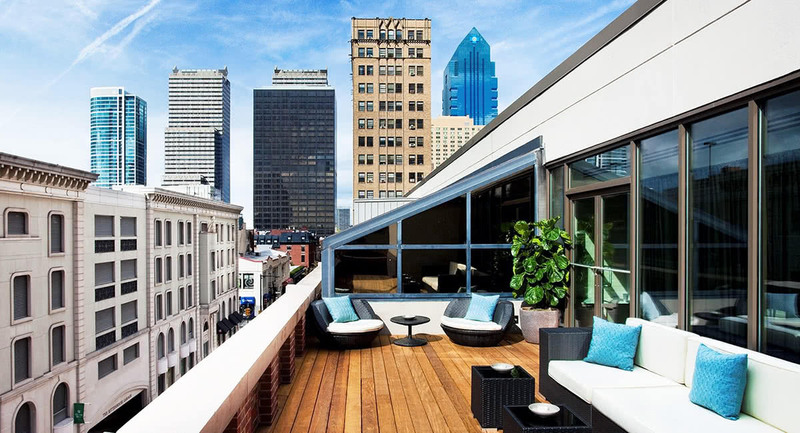 Celebrated as the best hotel in Philadelphia, the Rittenhouse hotel is indeed the best luxury hotel in the city centre. It sets the standards against which every other luxury hotels in Philadelphia are being measured. The Rittenhouse received a Four Star Award from Forbes magazine and is constantly ranking number one on TripAdvisor for Philadelphia’s hotels. The luxury experience begins before you even enter the Rittenhouse Hotel. 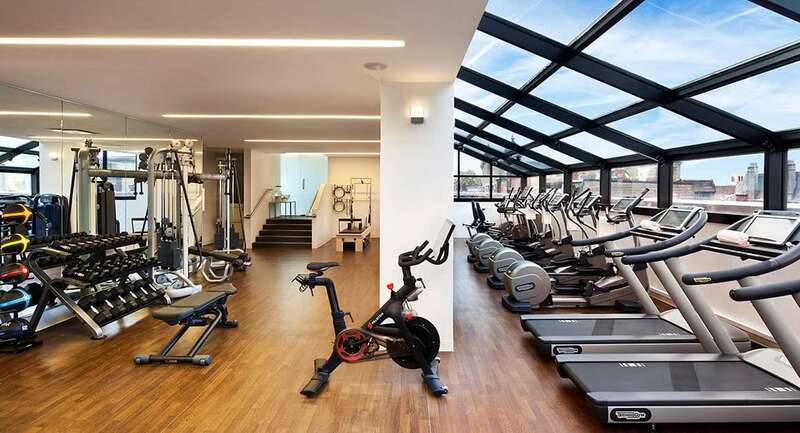 Ideally located in front of the Rittenhouse Square in Philadelphia’s city centre, the hotel is in the heart of the city with most attractions in walking distance. The building itself was designed to offer its guests an uncompromising view of the city. 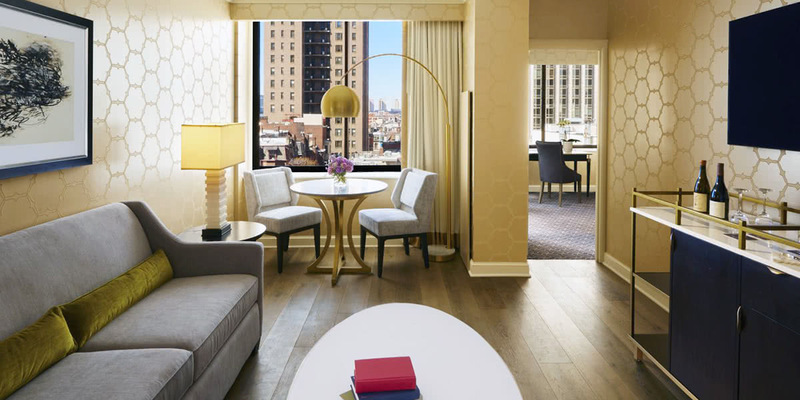 The Rittenhouse hotel’s rooms are spacious and generous, ranging from 450 to 1,7000 square foot. Each room is carefully designed and decorated in a style that enhances the architecture of the building. The two-bedrooms Rittenhouse Suite, situated on the top floor of the hotel, offers its guests a glamorous view of the Rittenhouse Square. The suite features two marble bathrooms, a kitchen, a spacious living room and a dedicated dining area. It can be extended with the adjacent Executive King Suite to further extend the space for large families. The Rittenhouse hotel Spa is another worthwhile highlight. It includes a spa of course, but also a hairdresser by Paul Labrecque, a barber shop, a Fitness Center and a swimming pool. The luxurious hotel day spa offers a full menu of services and treatments to its guests. In a tranquil environment with sumptuous treatments and professional staff, you are sure to find peace and relaxation. 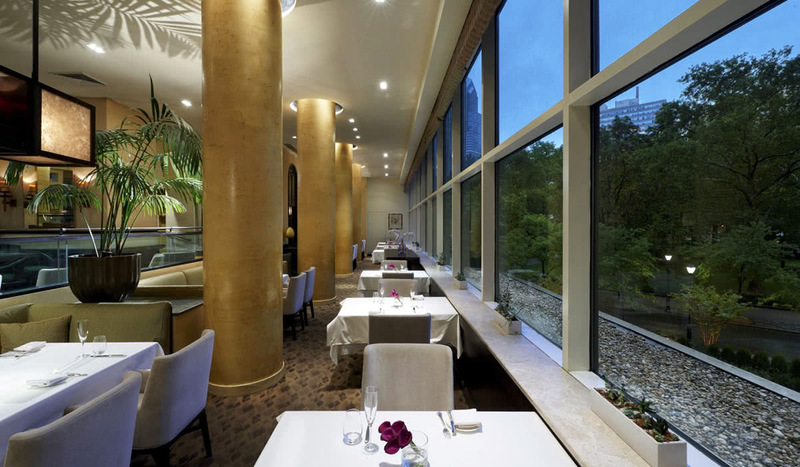 The Rittenhouse hotel is also home to five restaurants and bars: the Lacroix, the Bar 210, the Library Bar, the Mary Cassatt Tea Room, and the Scarpetta. The Lacroix restaurant is of particular notice. Put on your best smart casual outfit and be ready to be amazed. Among Rittenhouse Square restaurants, Lacroix represents the highest gastronomic standard. With specially tailored menus for every meal, alongside an elegant bar and a tea room, the Rittenhouse Lacroix restaurant brings surprises with every visit thanks to the creativity of its Chef Jon Cichon. The impeccable quality of the service is, however, what will make your stay at the Philadelphia Rittenhouse hotel a memorable and delightful experience. A combination of old-fashioned elegance and modern amenities with a discreet while ever available hotel staff are sure to please guests. Little attention such as a warm cooky placed in your bedroom upon check-in and hot pool towels are only some of the examples that the staff will cater for to ensure that you never in need and constantly surprised.